ST-DFIM Fabric Inspection & Rolling Machine with optional data collection and analysis system (4-point system) to handle a wide range of fabrics, especially for denim fabrics. This machine can be supplied to operate from plait/loose fabrics to roll, or with various other fabric inlet and outlet options. Tight rolls are rewound on first quality Rubber Roller & Stainless Steel Roller, especially ideal for Denim Fabircs. 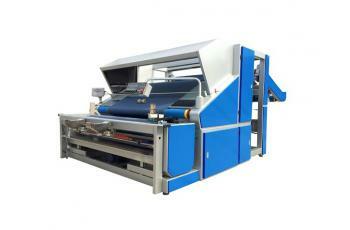 Automatic adjustable tension of fabrics when inspecting and rewinding.